Architecture has not been an easy profession for women, but from the very start, a talented and courageous cadre of female architects has pushed the boundaries and fought for recognition. 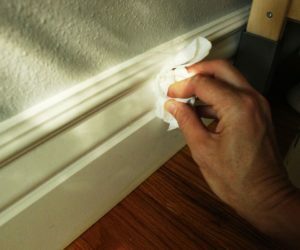 Some worked in the shadow of a mentor or spouse, making groundbreaking achievements, only to receive no credit. Throughout the decades, these bold professionals laid the groundwork for today’s talent, allowing their work to be front and center. Moreover, many of these women waged a battle not to be recognized as women in architecture, but simply as talented and innovative architects. Period. 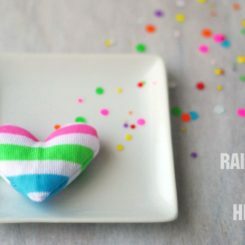 Here’s a list of some trailblazers you should know about. 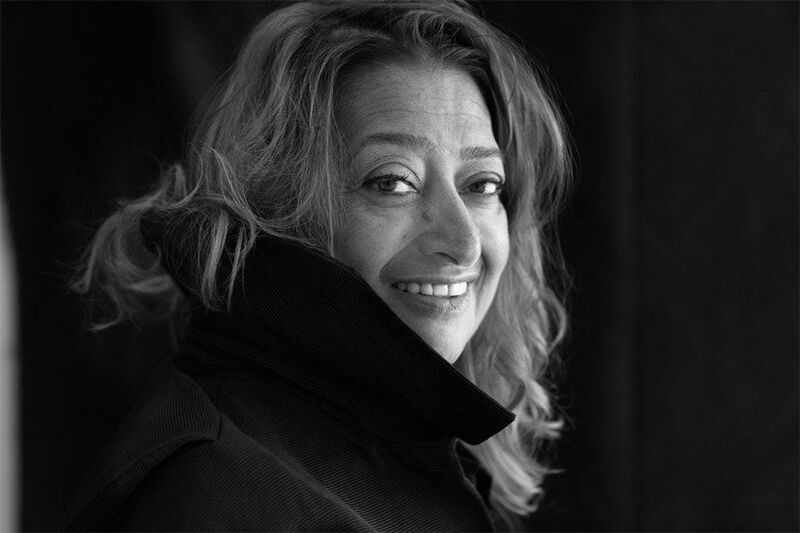 Dame Zaha Mohammad Hadid (1950-2016) was the grand dame of architecture. Called the “Queen of the curve,” Hadid was the first female recipient of the famous Pritzker Prize. Her distinctive designs were futuristic and geometric — spectacular on a visual level as well as architecturally. Her work has quite literally changed the face of cities around the world. Hadid’s accolades are too numerous to list and her distinctive designs have become icons in cities across the globe. When the Iraqi-British architect died unexpectedly, many of her designs were still under construction. 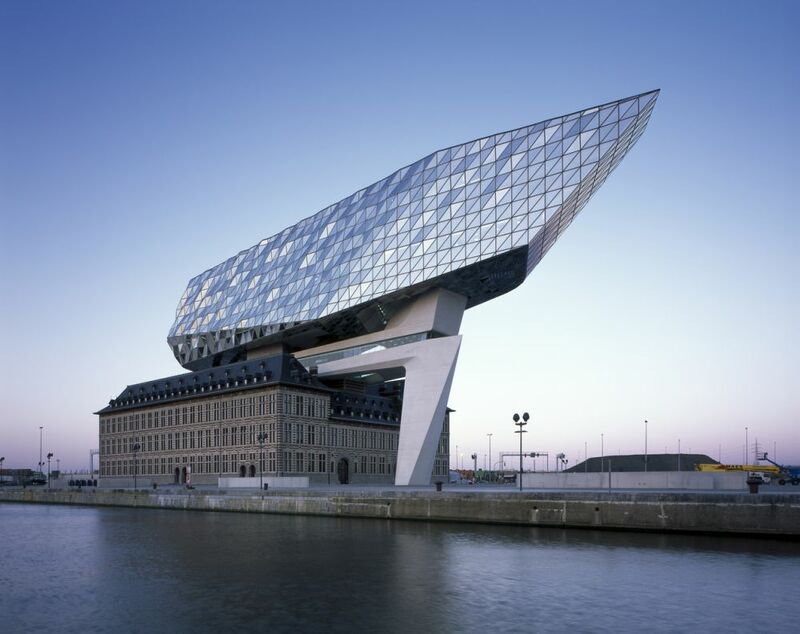 It’s nearly impossible to pick one design that is most prominent among Hadid’s work but a favorite is the Port House in the port of Antwerp, Belgium. 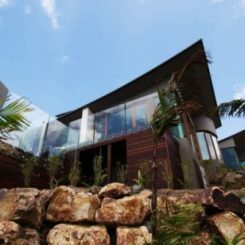 An old derelict fire station was restored and topped with dramatic glass extension that is cantilevered over the water. It is a magnificent counterpoint to the massive structures that form the surrounding port. 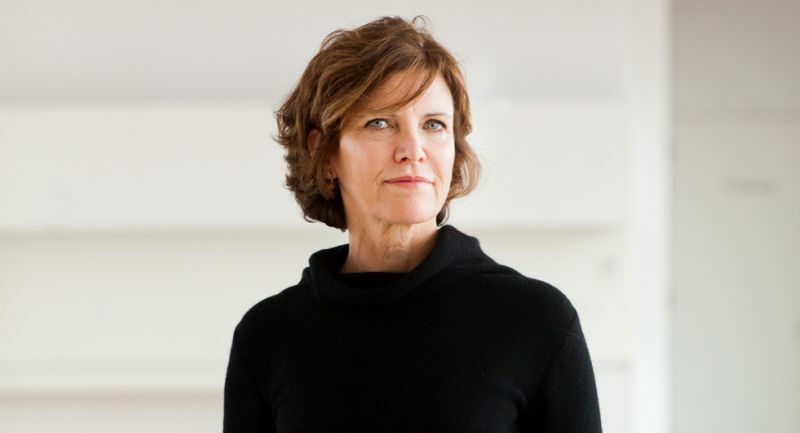 With a keen eye for environmental sustainability and expert creativity in using techniques in sustainable design, American architect Jeanne Gang leads Studio Gang in Chicago. Known for her projects that move toward reducing urban sprawl and increasing biodiversity, Gang has forged a career of international renown that is marked by designs that push the boundaries of architecture. 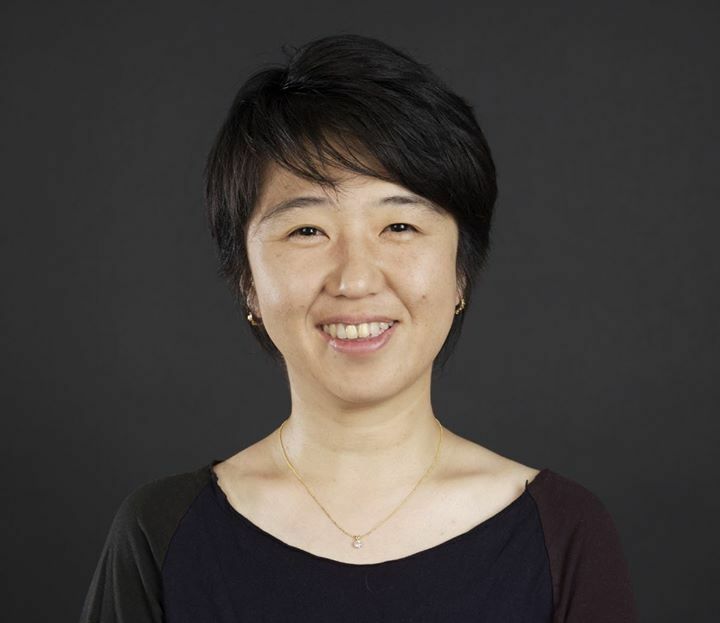 The MacArthur fellow has pursued diverse work that includes a range of interests form developing stronger materials to following a design process that also builds relationships with communities and environments. Her distinguished career has already garnered numerous major awards, including being named to the American Academy of Arts and Sciences and the Chevalier de l’Ordre national de la Légion d’honneur. 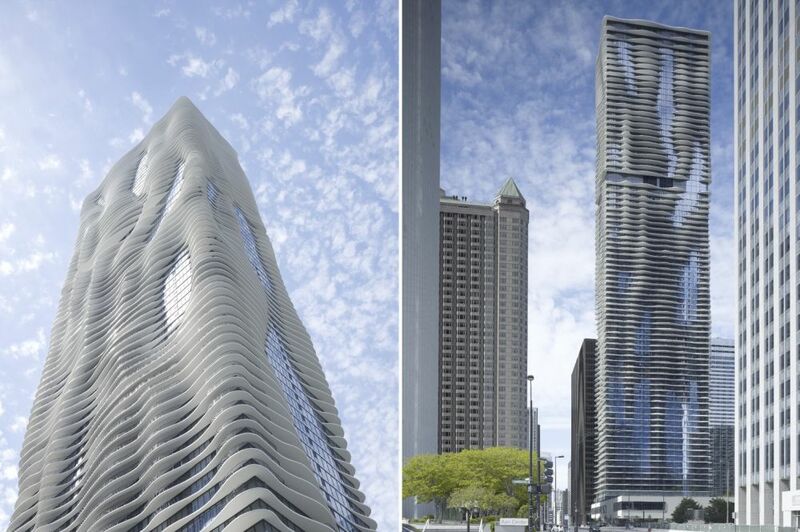 While Gang has undertaken recognized projects across the globe, she is perhaps most celebrated for Chicago’s Aqua Tower, an 82-story building with unique curved concrete balcony overhangs. 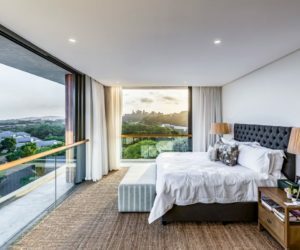 The feature is not only design forward, but also a functional element that mitigates strong winds and allows for balconies to be placed on each floor and on all four sides of the building. When finished in 2010, the Aqua Tower was one of the tallest buildings in the world designed by a female architect. At the time, it also had the city’s largest green roof. Perhaps the youngest architect to find major success on this list, American Maya Linn won the design competition for the Vietnam Veteran’s Memorial in Washington DC while still a student at Yale. Although it was a groundbreaking style for a memorial, it was also quite controversial at the time. Linn is the daughter of Chinese intellectuals who emigrated in 1948 just before the Communists took over in 1949. Using her early fame as a launchpad, Linn has gone on to create other innovative memorials as well as architectural projects such as Langston Hughes Library (1999) and the Museum of Chinese in America in New York City. In 2016 President Barak Obama awarded her the Presidential Medal of Freedom. As already noted, Linn is most recognized for her first project – the Vietnam War Memorial. Her vision for the monument is a testament to the power of simplicity, which immediately became a flashpoint for controversy. Veterans termed in the “black gash of shame” but the design prevailed, although a secondary monument with three realistic soldiers was located nearby to pacify opponents. 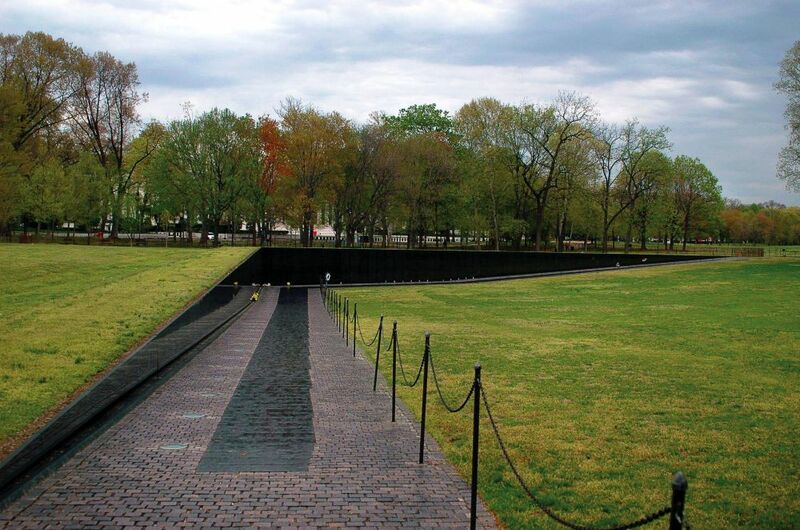 Since then, the granite wall inscribed with the names of 58,000 soldiers killed or missing in action has become a major draw for visitors, its sleek, abstract profile evoking powerful emotions. Finally, in 2005, the monument was recognized by the American Institute of Architects with its 25-Year Award, which celebrates structures that have proven their value. As one of the founders of Miami firm Arquitectonica in the late seventies, Elizabeth Plater-Zyberk is a leader in New Urbanism. 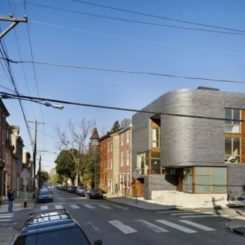 Plater-Zyberk and her firm earned an international reputation for a style that was dramatic, high-tech and modern while simultaneously working to design towns and communities that are livable and environmentally friendly. In 1979, she moved into academia, teaching at the University of Miami – where she also served as dean — and developing groundbreaking programs like Suburb and Town Design. Now, she and husband Andres Duany run DPZ, a firm that creates urban spaces that “encourage walking, diversity and complexity.” Plater-Zyberk and DPZ has garnered numerous accolades, including the Richard H. Driehaus Prize for Classical Architecture and the APA National Planning Excellence Award for Best Practice for Miami 21. The architectural project that has gained the most public notoriety for Plater-Zyberk is the Atlantis Condominium, a luxury building in Miami. 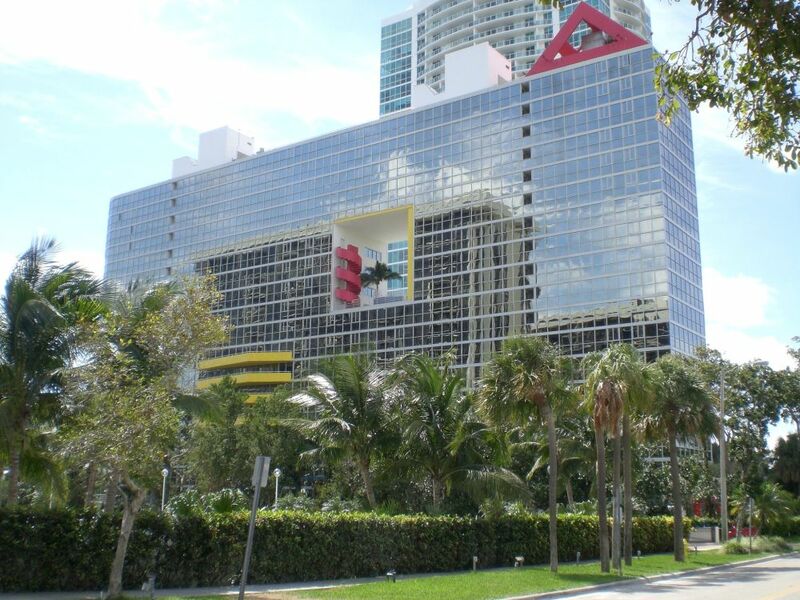 Designed by Arquitectonica and built in the early1980’s the spectacular glass facade with its cut-out center — the 5-story palm court — became a Miami icon, featured in the opening credits “Miami Vice”, television series. The 21-story building is located in the Brickell section of Miami. 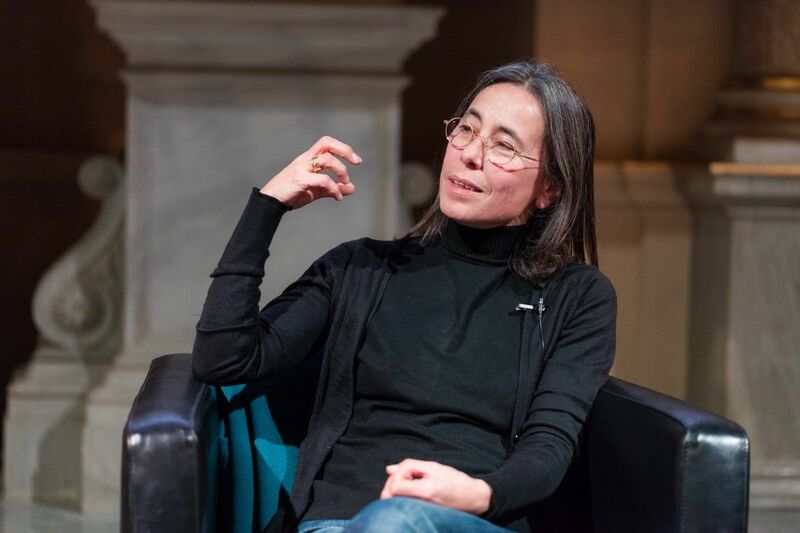 As the first female laureate of the European Prize for Architecture, French architect Manuelle Gautrand is recognized for her “boldness and non-conformity.” She runs her own firm, Manuelle Gautrand Architecture, in Paris and has designed projects ranging from homes to cultural buildings and other sites such as a car showroom in Egypt. All of her work aims to highlight the relationship between the building and the site where it is located. While numerous works by Gautrand are well recognized, her design for the Citroën showroom located on the Champs-Élysées really propelled her to popular fame on an international level. Made of large glass panels that form the Citroen logo on the façade, the contemporary design caused a stir when it was built in 2007 because not all were fans. Since that time, it has grown in popularity and is not one of the iconic buildings on the famous street. 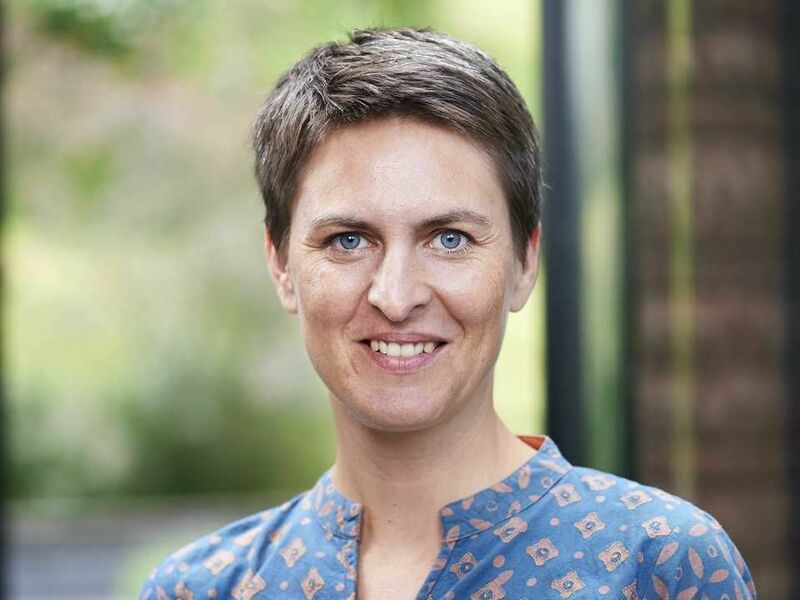 German architect Anna Heringer is best known for her interest and expertise in sustainable architecture, which she has nurtured since she spent a year volunteering in Bangladesh in 1997. The experience there was the spark fueling her career path, as she aims to focus on what already exists instead of depending on external systems, making the best of the resources that are already available. 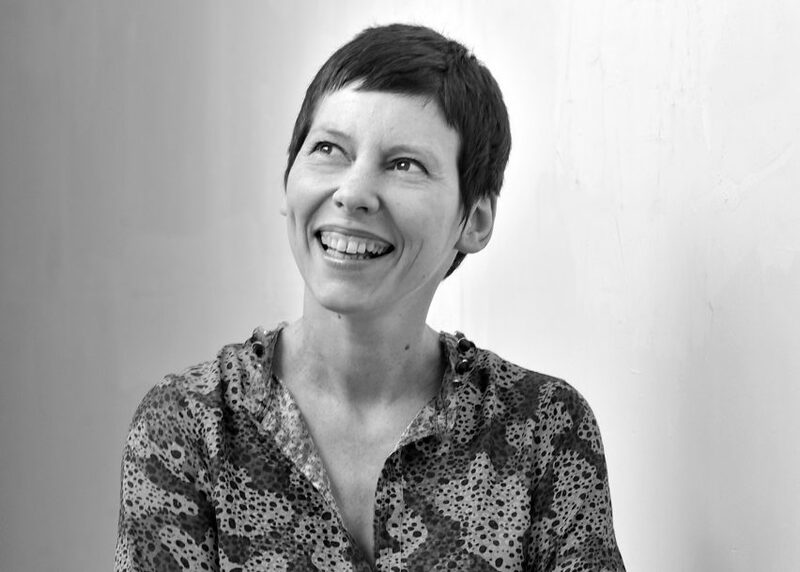 Heringer, who is involved in a number of projects in Bangladesh, has received numerous awards for her work including the Aga Khan Award and the Global Award for Sustainable Architecture. 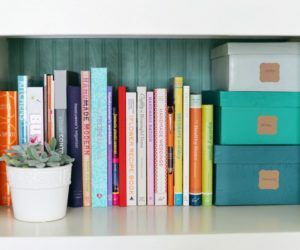 In addition to her design projects, she teaches at various institutions, such as Harvard’s Graduate School of Design, ETH Zurich, and the Technical University in Vienna. 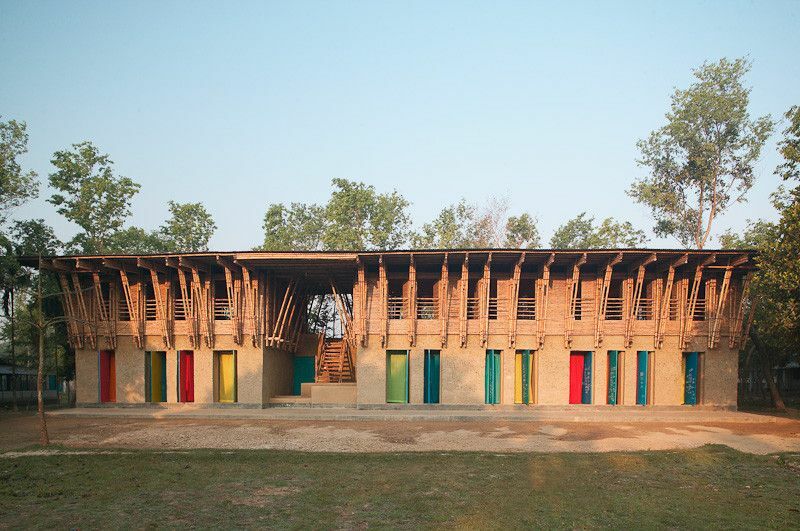 The project that has defined the direction of Heringer’s work is the METI Handmade School in Rudrapur in Rudrapur in the Dinajpur district of Bangladesh. She made the school a reality, using traditional building materials like mud and bamboo, typical materials used in construction in the area. The school was finished in 2006. Her other projects include the DESI (Dipshikha Electrical Skill Improvement), a vocational training school for electricians, not far from the school. 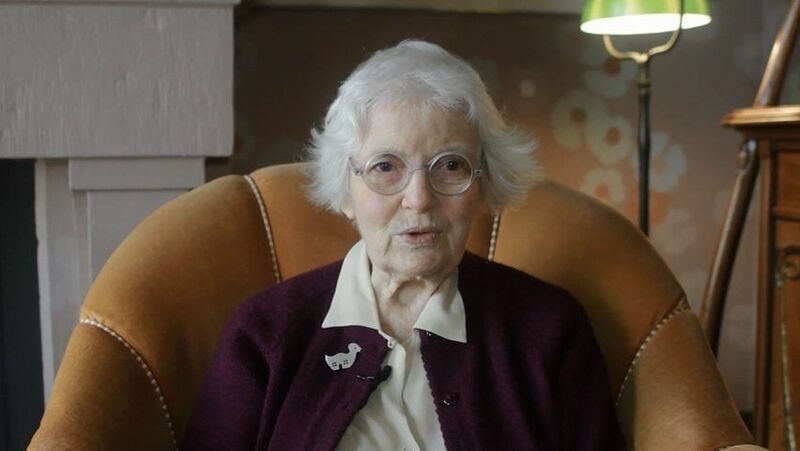 American architect Denise Scott Brown, principal of the Philadelphia firm Venturi, Scott Brown and Associates, as worked alongside her husband Robert Venturi for decades but is herself one of 20th Century’s most influential architects. She fought against gender discrimination in the industry, struggling for recognition of her individual work in the field of urban design, and published a famous essay entitled “Room at the top? Sexism and the Star System in Architecture” in 1989. Scott Brown was driving force behind the studio class and book “Learning from Las Vegas.” The work was “a joint creativity.” that hinged on the concepts that eschewed modernism, reconnecting architecture with older traditions. Her husband’s receipt of the Pritzker award in 1991 was controversial in that the prize committee would not award the pair, only Venturi, who in the end accepted it with a speech extolling Scott Brown’s work. In 2018, she received the 2018 Soane Medal, which honors “architects who have made a major contribution to their field, through their built work, through education, history and theory.” Scott Brown also received the Jane Drew Prize for raising the profile of women in architecture. 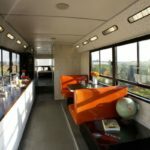 It is difficult to identify just one project to highlight Scott Brown’s work, however, The Vanna Venturi House is definitely on the list of top groundbreaking endeavors. Built in 1964 for her mother-in-law, the house is considered among the prime examples of postmodern architecture. The Chestnut Hill, Pennsylvania home’s includes classic forms but also plays on aspects of scale and symmetry. The house also makes real a number of the concepts and ideas that were included in Complexity and Contradiction in Architecture published by Venturi. Often called a visionary, Neri Oxman is an architect perhaps like no other. Rather than designing buildings with building materials, Israeli-born Oxman builds with biological forms, using them as part of the construction to create a living building. 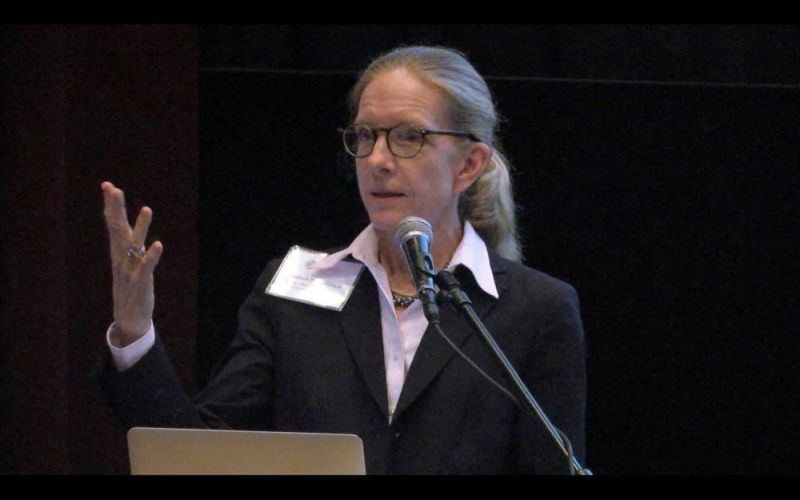 Her work is “a shift from consuming nature as a geological resource to editing it as a biological one.” In her Mediated Matter research group at MIT she creates art and architecture that is an innovative melding of biology, math, engineering, computing and, of course, design. 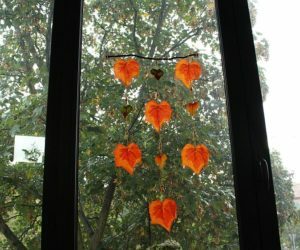 She is known for the phrase “material ecology” to define her work. 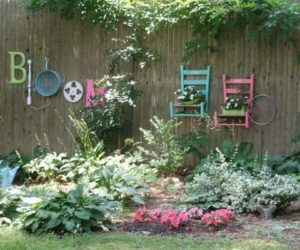 The trademarks of her style brightly colored and textured surfaces, structure at many scales, and composite materials whose hardness, color, and shape vary over an object. Due to the innovative nature of her work, it’s not possible to walk down the street and point to a building that she has created – at least not yet. One of the more dramatic projects Oxman has created is the Silk Pavilion which is made of an unconventional material using an equally unconventional production process for the design and construction. She and her team programmed a robotic arm to weave a structure from silk threads that mimic the movements that silkworms use to create their cocoons. Then they released 6,500 live caterpillars onto the structure for them to complete the building process with their own silk. 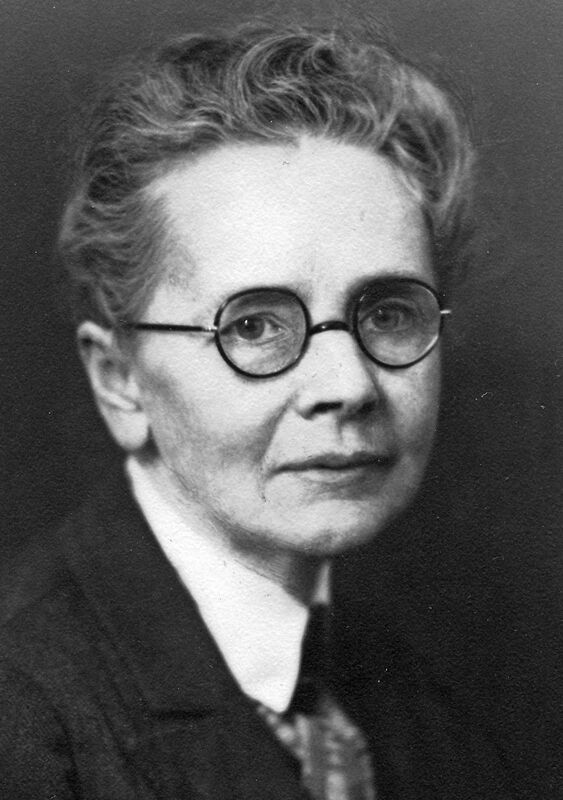 American architect Julia Morgan (1872 – 1957) was ahead of her time as a groundbreaker for women in architecture as well as a prolific and successful professional in her own right. Among her many “firsts: were being the first woman to get an architecture license in California, to be admitted to the Ecole des Beaux-Arts in Paris, and to receive the AIA Gold Medal, posthumously in 2014. In California, Morgan designed more than 700 buildings, embracing the Arts and Crafts Movement but working in a variety of styles with meticulous craftsmanship. Having set up her own practice in San Francisco in 1904, the tragedy of the 1906 earthquake yielded a great deal of work for Morgan, who designed countless houses, educational and office buildings, as well as churches. 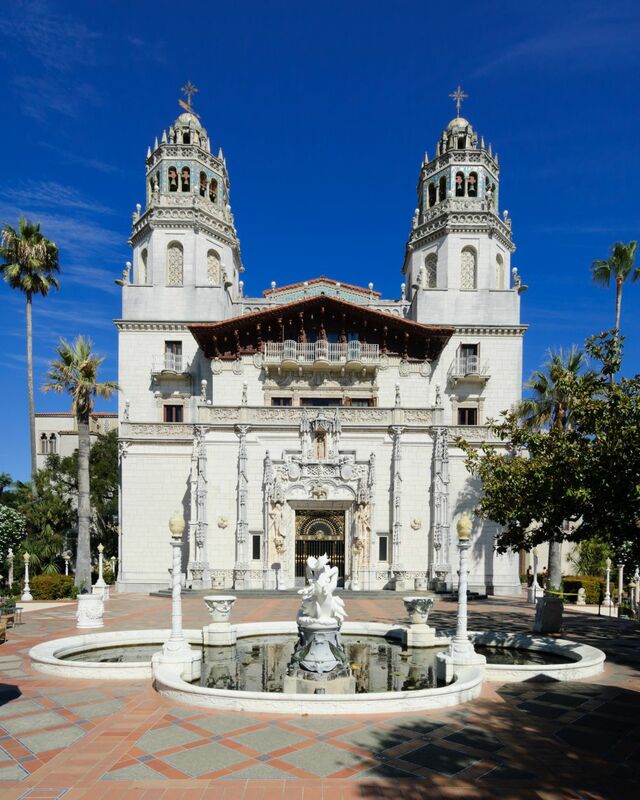 One of California’s greatest architectural landmarks is Morgan’s best known architectural work: The famous Hearst castle. Hired by William Randolph Hearst in 1919, she spent the next 28 years overseeing the construction at Hearst Castle and personally designed most of the structures, the grounds “down to the minutest detail.” While Morgan also worked on other Hearst properties, The Hearst Castle at San Simeon was a collaboration like no other. 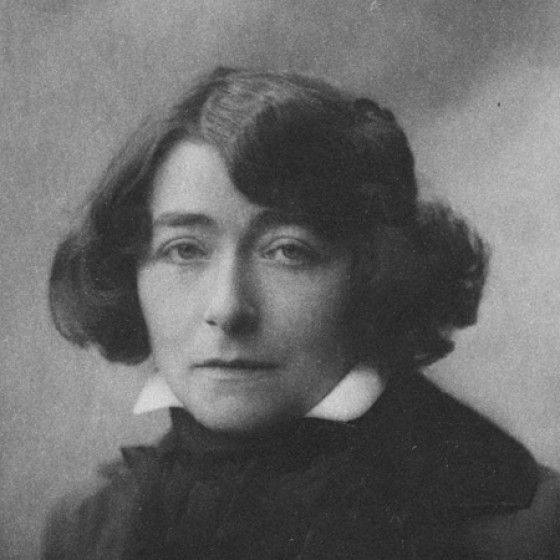 Eileen Gray (1878-1976) may be most celebrated for architecture, but she was equally a trailblazer in furniture design as well as in women’s roles in the industry. 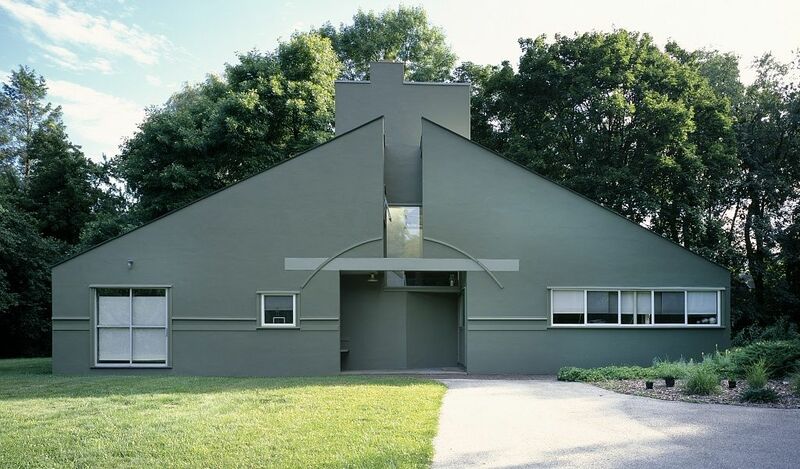 The Irish-born Gray was a pioneer in the modern movement in architecture, and her development was encouraged by her love interest, Romanian architect Jean Badovici. Her work on a shared home with Badovici in Monaco led to a dispute with Le Corbusier, on whose principals the house was built, who famously drew murals on the walls of the house without having Gray’s permission to do so. In the furniture realm, Gray worked with different geometries to create furniture in steel and leather, which in turn were said to inspire designers and architects in the Art Deco and Bauhaus styles. 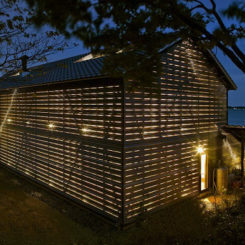 The Monaco house she built for Badovici is arguably her masterpiece. 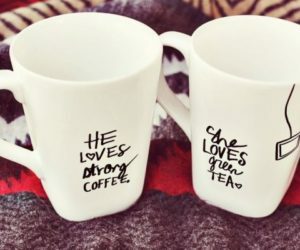 Called E-1027, the name is a code for the couple’s names: E for Eileen, 10 for the J in Jean, 2 for the B in Badovici and the 7 for the G in Gray. 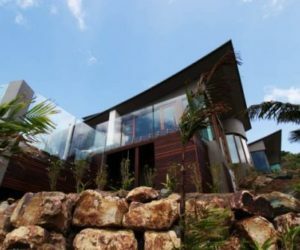 The cubed-shaped house was built on pillars atop a rocky terrain and was said to be designed along Le Corbusier’s “Five Points of the New Architecture” thanks to its open plan, horizontal windows, open facade and staircase leading to the roof. 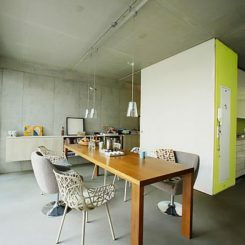 Gray also designed a variety of furnishings to complement the space. 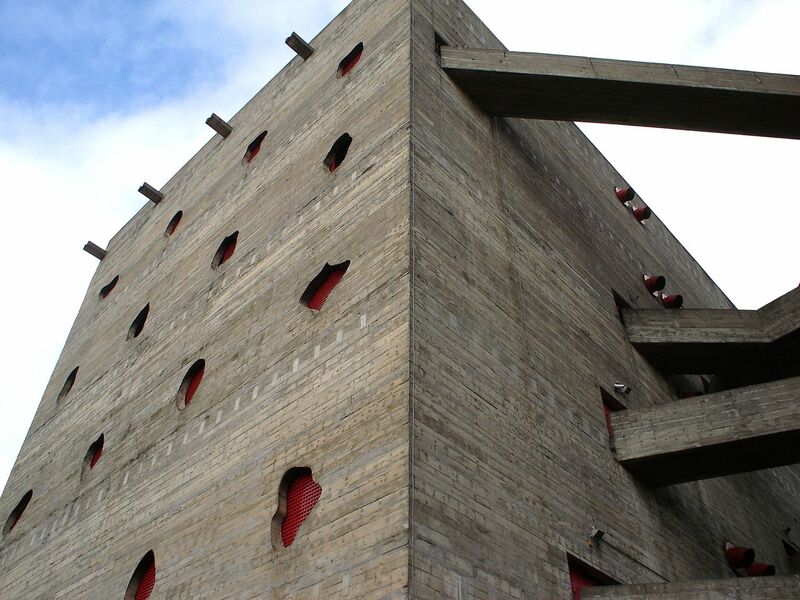 According to reports, Le Corbusier admired the house and often stayed there. In 1938/1939, however, he drew cubist murals on the walls without her permission, giving rise to a scandal. 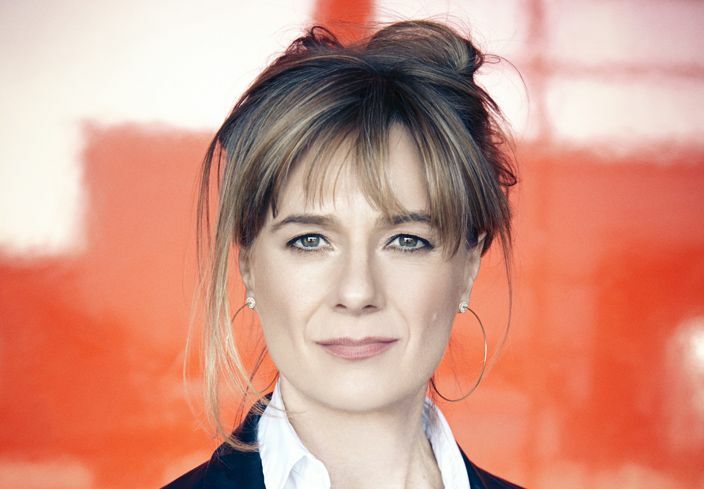 Prize-winning architect Amanda Levete is founder and principal of AL_A, an international design and architecture studio that aims to “balance the intuitive with strategic, restless research, innovation, collaboration and attention to detail.” Welsh-born Levete’s practice is recognized as one of the most innovative in the UK. In 2011 the firm won an international competition to design a new entrance, courtyard and gallery for London’s Victoria and Albert Museum. Before opening her own firm, Levete ran Future Systems with her husband Czech-born architect Jan Kaplický, and together they created an iconic blob structure in 2003, recognizable from an old edition of Microsoft Windows. In 2018, Levete won the Jane Drew Prize, awarded by the Architects’ Journal and her firm was one of four teams shortlisted for a competition to reimagine the Eiffel Tower’s visitor experience. 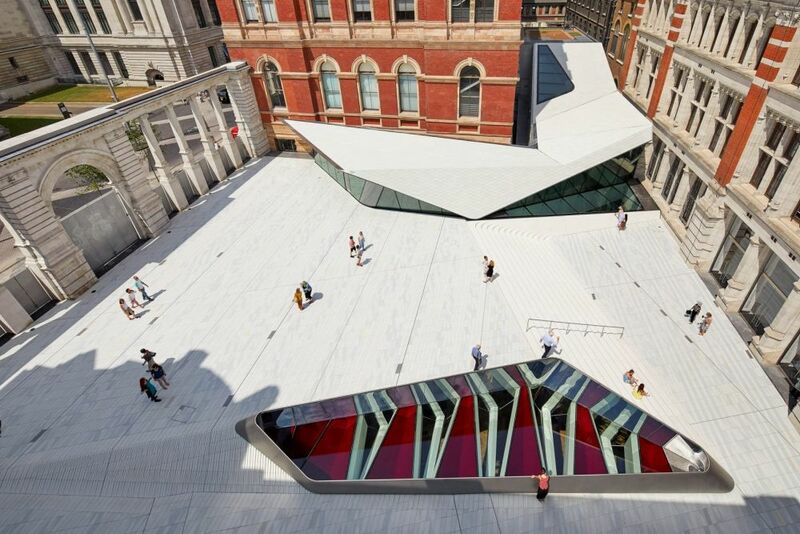 Although a number of buildings around the globe could be called an iconic project for Levete, her design for the courtyard and entrance of the Victoria and Albert Museum in London likely tops the list. Named among the most influential buildings by Architectural Digest in 2017, the addition, adds 6,400 square meters of space and is the largest expansion at the museum in over a century. The larges feature of the project is the courtyard, which has been paved with porcelain — 11,000 hand-made tiles covering the 1,200-square-meter Courtyard. 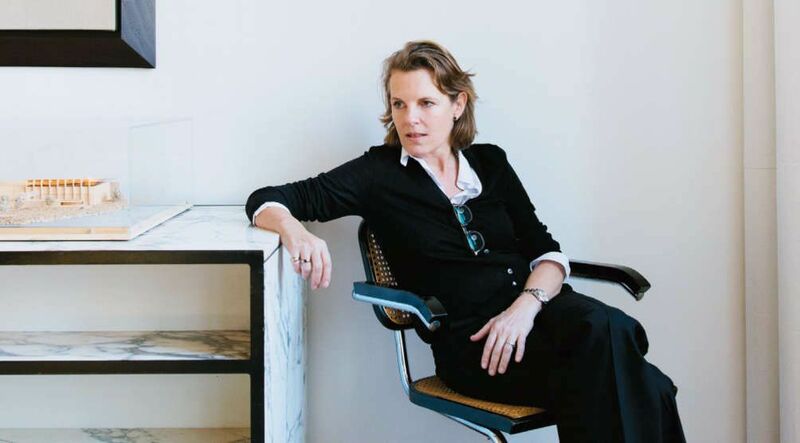 Liz Diller is known for her wealth of ideas – some outrageous and some not so much. But she is also known and celebrated for her visionary work which has landed her as the only architect on Time magazine’s list of 100 most influential people of 2018 – her second time on the list. Diller founded the firm Diller Scofidio + Renfro in New York with partner and husband Ricardo Scofidio. Proud of their self-described rebelliousness, Diller’s firm has transformed buildings of all kinds and has recently worked on a long list of public arts buildings, which combine architecture and art, and blur the lines between media, medium, and structure. One of their newest projects is the Centre for Music, London’s new £250m concert hall. While the list of Diller’s building projects is quite long, the firm is most famous for something a little bit different: Their conversion of an abandoned railway line in Manhattan into the High Line, a park that now attracts more than 8 million visitors each year. 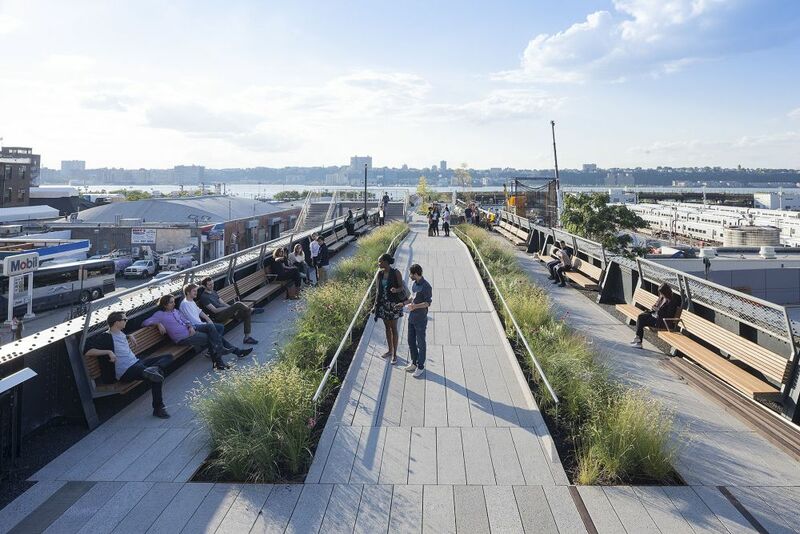 The transformation has been viewed as a model potential revitalization concept for cities around the globe and has improved the desirability and property values of the area around New York’s High Line. German-born architect Annabelle Selldorf has been called many things: a modernist of “interesting plainness”, “a kind of anti-Daniel Libeskind” and “the queen of stealthy architecture.” Regardless, one thing is for sure: Selldorf is one of the most sought-after residential architects in New York City. 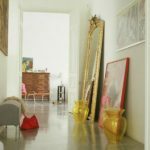 She is not big on having a wow factor and prefers designs that “exude quiet confidence.” This is likely why she has become the design darling of the art world, creating museums across the globe. Selldorf won a competition for the expansion of the San Diego Museum of Contemporary Art and was commissioned by a billionaire pharmaceutical heiress to transform dilapidated warehouses in Arles, France into exhibition spaces. 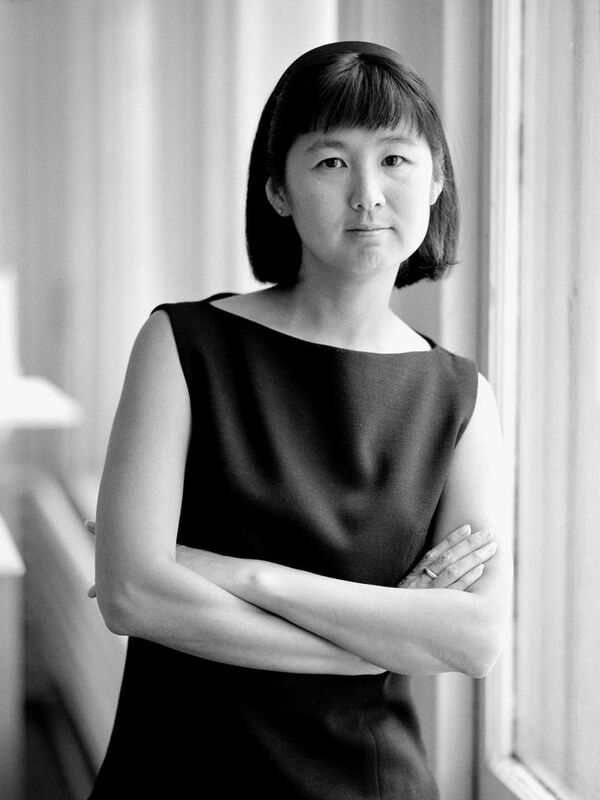 She is a Fellow of the American Institute of Architects (FAIA) and the recipient of the 2016 AIANY Medal of Honor. Among the many lovely buildings Selldorf’s firm has created, one the favorites is the John Hay Library at Brown University in Providence, Rhode Island. The amazing space had lost its luster thanks to many decades and many renovations. 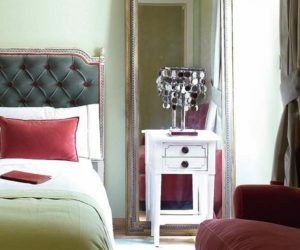 She devised a design that restored many features of the room, such as oak shelving, and incorporated replicas of the lighting fixtures that were originally used. 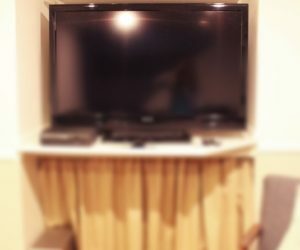 It was finished off with comfortable furniture. that blends well with the historic space. A true pioneer, Norma Sklarek (1926–2012) was one of the first African American women to be licensed as an architect in the United States. She was called the “Rosa Parks of architecture,” thanks to her intelligence, talent, and tenacity. These qualities led her to transcend racism and sexism, and be a role model in architecture. 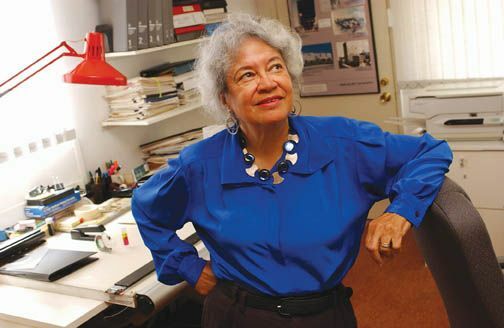 Sklarek was the first woman of color honored by a Fellowship in the AIA. Her career included a stint at Welton Becket Associates where she directed the construction for Terminal One at the Los Angeles International Airport, which was ready prior to the 1984 summer Olympics. 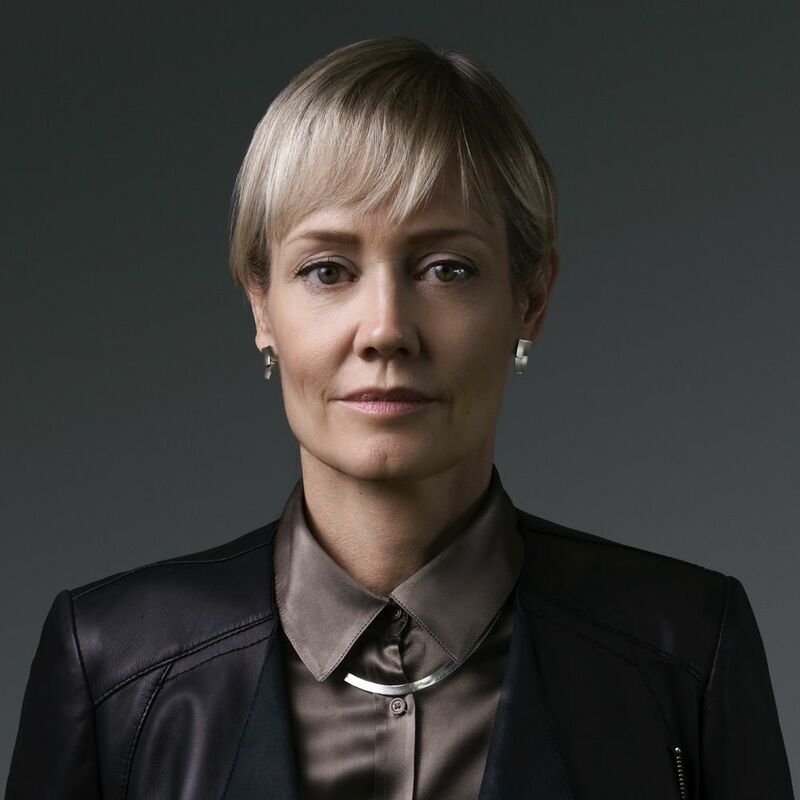 In 1985 she co-founded Siegel, Sklarek, and Diamond with Margot Siegel and Katherine Diamond, which at the time was the largest woman-owned firm. Among the projects Sklarek designed is The Pacific Design Center, a multi-use collection of buildings for the design community in West Hollywood. 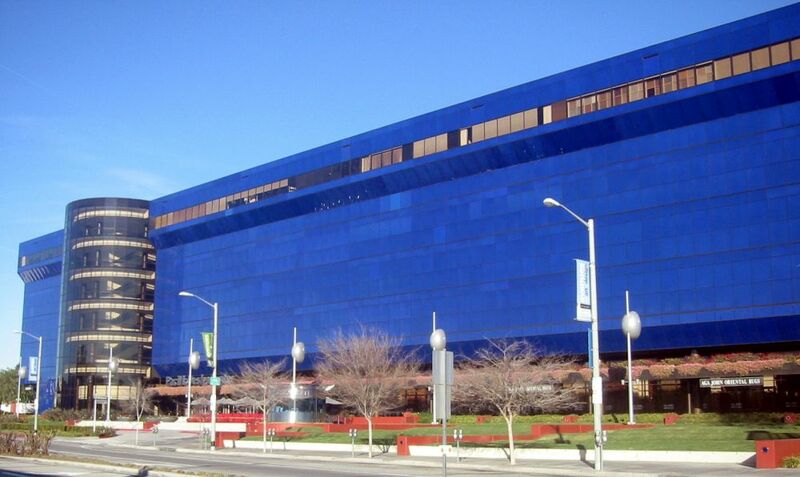 Sometimes the Blue Whale, one of the buildings is outsized compared to the surrounding buildings and has brilliant blue glass cladding. The PDC houses the West Coast’s top and furniture market, a branch of the Museum of Contemporary Art (MOCA) and two restaurants. It also famously hosts The annual post -Oscar Elton John AIDS Foundation Academy Award Party. 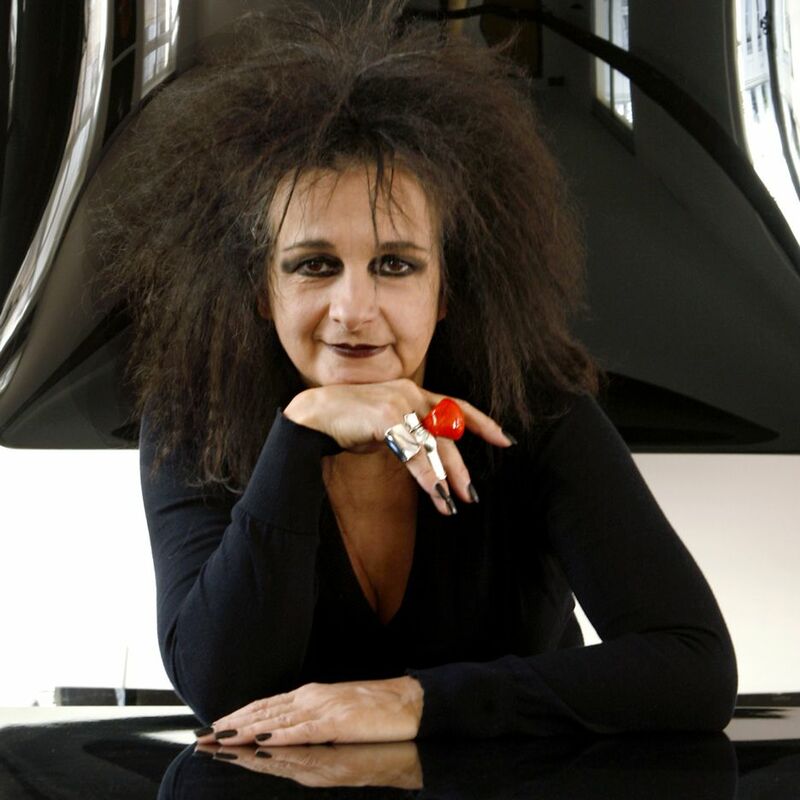 Another winner of the Jane Drew Prize, Odile Decq has been recognized as “a creative powerhouse, spirited breaker of rules and advocate of equality. 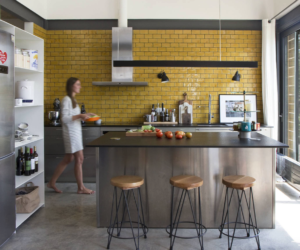 From her early days as part of a team with her husband Benoît Cornette, the duo spiced up a rather bland architecture scene in France. The pair’s first big project — Banque Populaire de l’Ouest in Rennes – garnered them eight awards. After Cornette’s tragic death in a car accident, her work was still being attributed to him, which spurred her to change the firm’s name to Studio Odile. From there, Decq went on to start her own school — Confluence Institute for Innovation and Creative Strategies in Architecture — in Lyon, France. Among her projects, one of the latest is the Fangshan Tangshan National Geopark Museum one of the finest global geoparks. “The shape of the museum originates from the slope of the site, which becomes the form of the building. The continuity between the landscape and the museum creates a sequential museology space that runs through the many layers of the project,” the architects wrote. 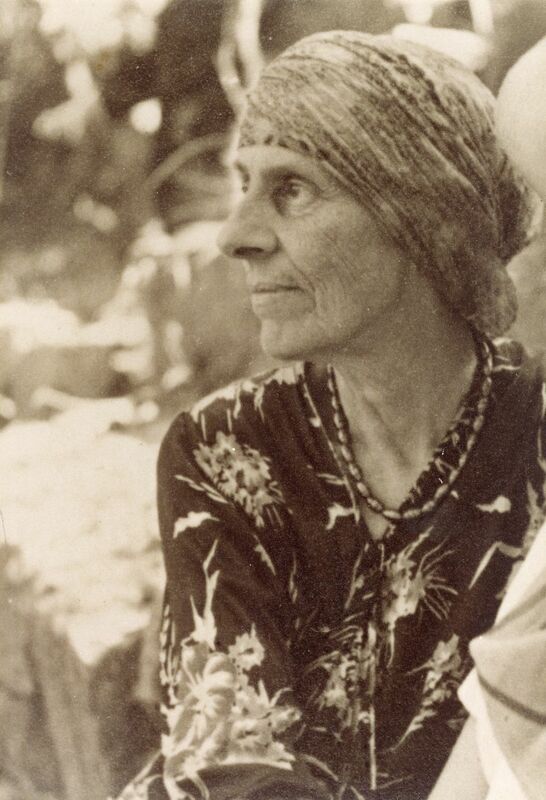 Groundbreaker Marion Mahony Griffin (1871-1961) was the world’s first female licensed architect and Frank Lloyd Wright’s first employee. One would think this would boost her career, but as was generally the case with women in that era, her accomplishments were minimized. As Wright’s personal life became more complex, Mahoney Griffin took over many of his projects. She is considered an original member of the Prairie School and she produced what was considered some of the best architectural drawing in America. 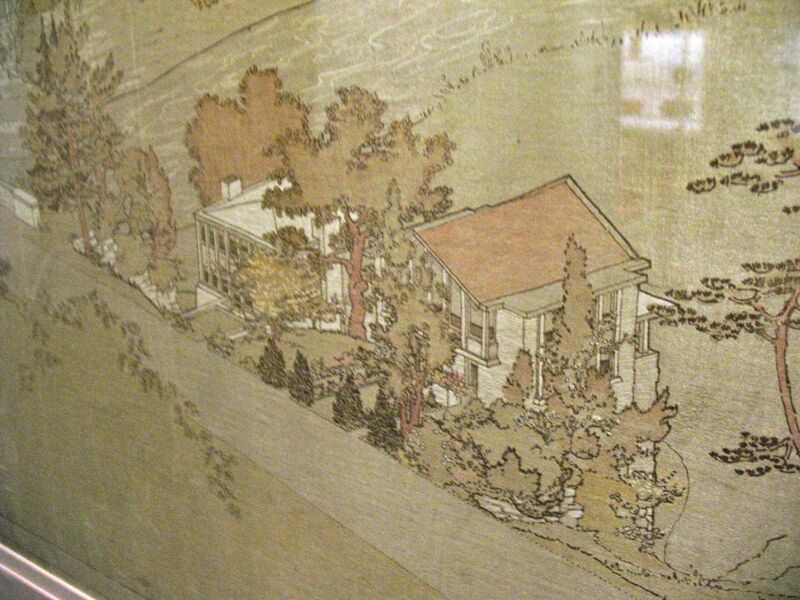 She later married collaborator Walter Burley Griffin and then spent most of her professional married life in Australia. Her watercolor renderings of his design for Australia’s new capital, Canberra, helped win the competition for the city’s plan and once in Australia, she managed the Sydney office of their firm. 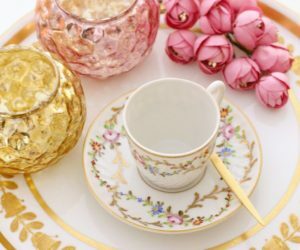 Among the countless designs Mahoney Griffin created, one that she did in cooperation with her husband is considered one of their most dramatic. Rock Crest-Rock Glen, located in Mason City Iowa, is a collection of Prairie School dwellings, in fact, is the largest collection of this style of homes in a natural setting. These buildings usually have horizontal lines, wide eaves that overhang the sides, broad groups of windows and restrained use of ornamentation. 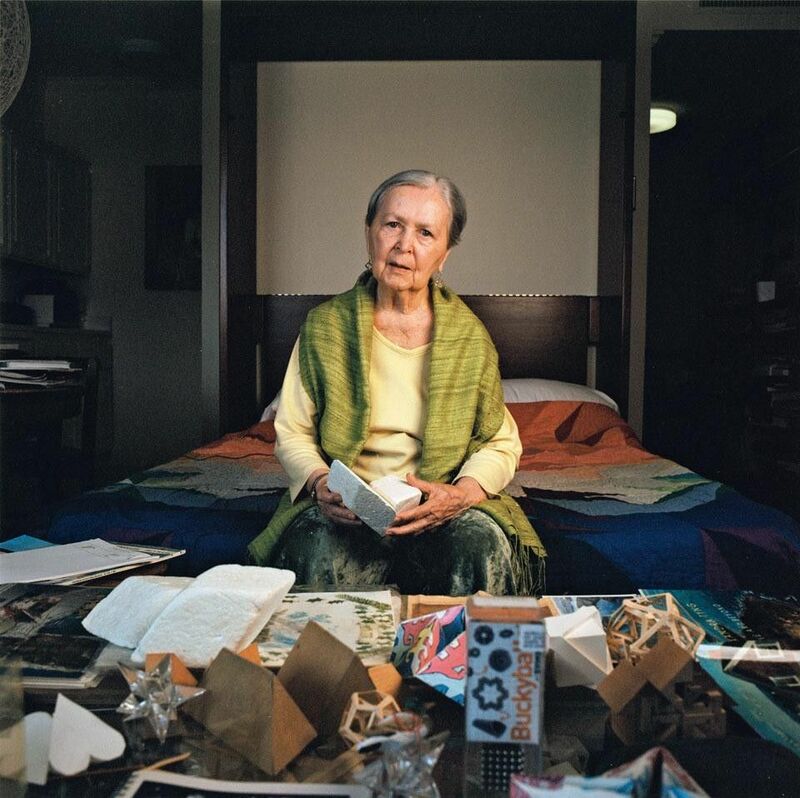 Anne Griswold Tyng (1920-2011) was known for her mathematical skill and pioneering accomplishments in the use of interlocking geometric patterns to create spaces that are full of light. Beginning early in her career, Tyng collaborated with the great Louis I. Kahn in Philadelphia and taught at the University of Pennsylvania. Tyng was very interested in hierarchical symmetry and organic form, which earned her a grant from the Graham Foundation – the first woman to do so. She was also the first architect to use triangulated three-dimensional trusses for framing a house that has a traditional peaked-roof. Much of Tyng’s work was overshadowed by Kahn and his reputation. The only surviving project she did on her own is the Trenton Bath House, even though it was attributed to Kahn at the time of its development. 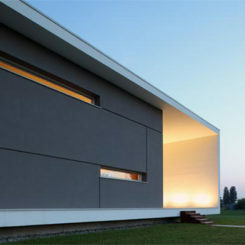 It is generally called the birthplace of the aesthetic approach, which Kahn was known for. 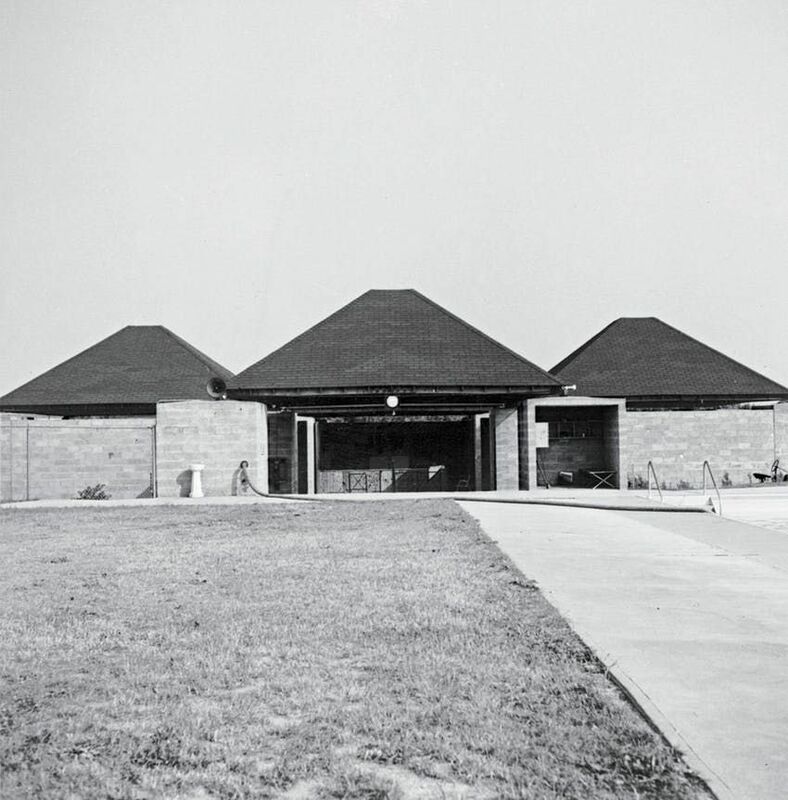 Posthumously, it was recognized that she created the unique roof design, which consists of “four symmetrically arranged squares with hipped roofs.” Tyng had explained that the inspiration was bathhouses of China that she recalled from spending her childhood there. 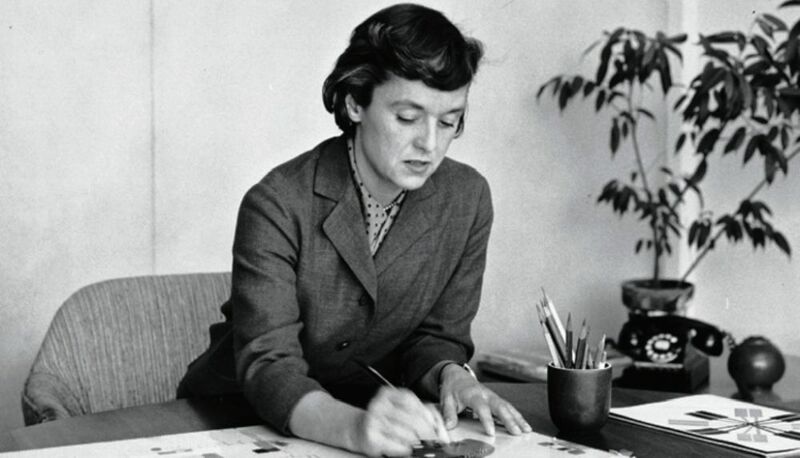 Florence Knoll, architect and furniture designer of the iconic furniture company, made a name for herself during the mid-century modern era. Having studied with Mies van der Rohe and Eliel Saarinen, Knoll was well prepared when she met her husband Hans Knoll. 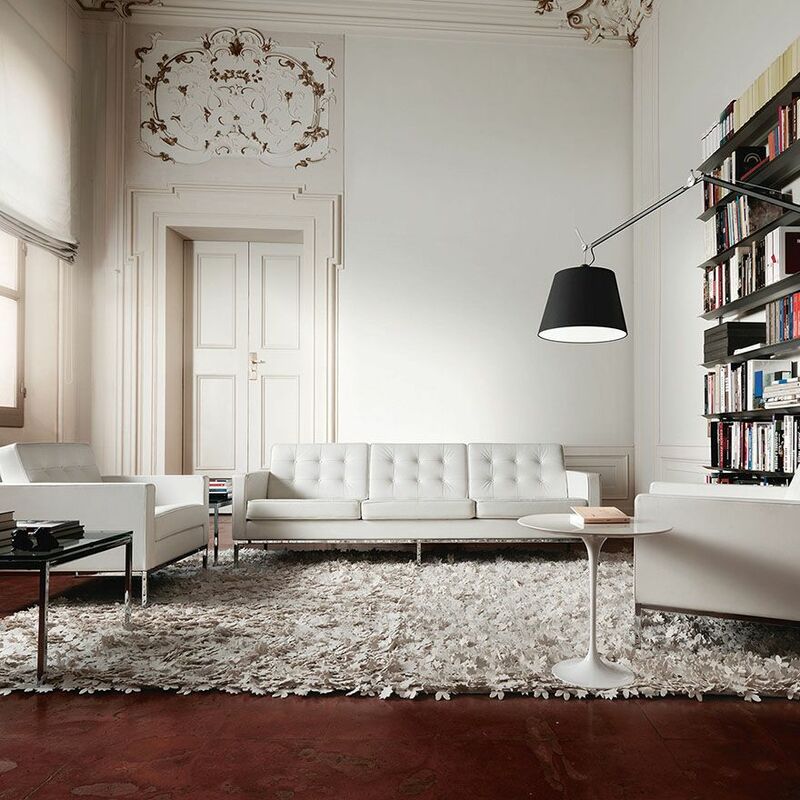 Together, they built Knoll Furniture, where she was Director of the Planning Unit. The furniture designs she created have become as well known as those of her former teachers. After her husband Hans died in 1955, she led the company until 1960 when she resigned to focus on design and development, continuing to fuel the popularity of modernism. Definitely ahead of her time, Pennsylvania architect Anna Wagner Keichline (1889–1943) was also a suffragist and Special Agent during World War. 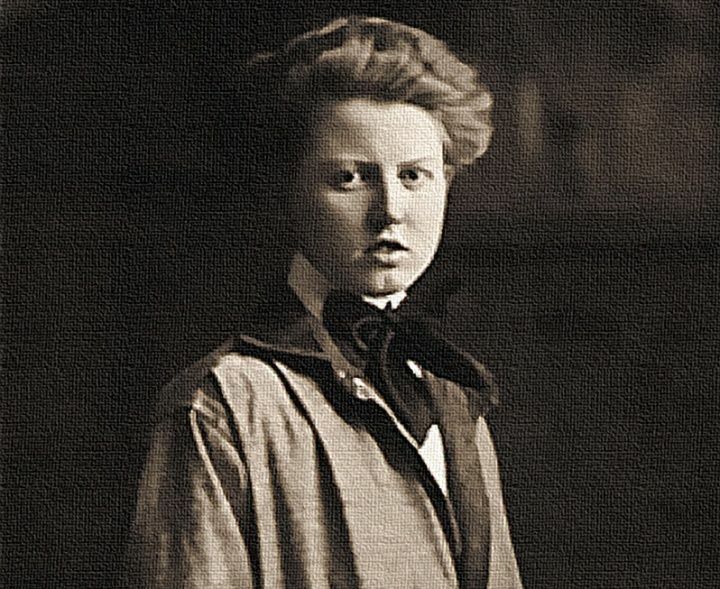 Identified as the “first woman to actually practice architecture professionally,” her design work led to seven different patents for kitchens and interiors. She was well known for her efforts to create interiors that saved time and motion, including a combined sink and washtub, as well as the precursor to the Murphy bed. 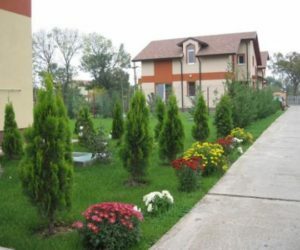 In addition, Keichline designed many homes, but unfortunately, they have been renovated or destroyed. While none of Keichline’s buildings survive intact, her best-known invention does the hollow, fireproof “K Brick,” an early relative of today’s ubiquitous concrete block. This design earned her accolades in 1931 from the American Ceramic Society. 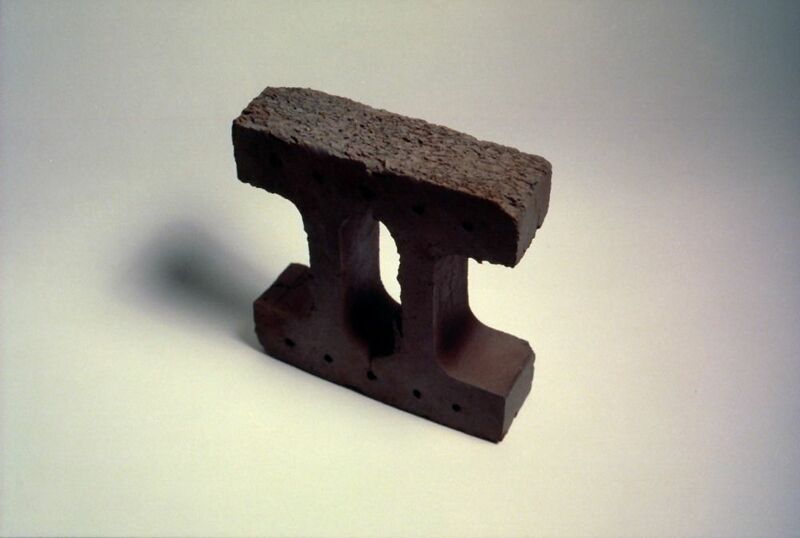 The brick was popular not only for its fireproof quality but because it was lightweight, inexpensive and insulating, useful for creating walls that weigh half as much as solid brick walls. Little known outside of Spain, architect Carme Pigem was propelled to international fame when she and her partners were awarded the Pritzker prize in 2017. RCR Arquitectes was honored for their collaboration “in which neither a part nor whole of a project can be attributed to one partner.” Their design work is distinguished for its ability to highlight the local but also be universal and globally significant at the same time. 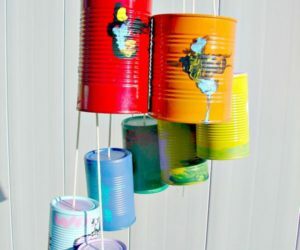 The creations are beautiful, functional and highly crafted. Among their creations, one of their early works was the result of winning a prize sponsored by the Spanish Ministry of Public Works and Urbanism. They answered the call to create a lighthouse in Punta Aldea that is “the essence of the typology.” The design is considered groundbreaking because it goes against many core principles of architecture today. 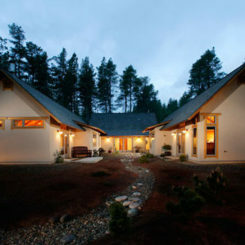 It also uses materials and ideas that are in concert with the area’s natural topography. 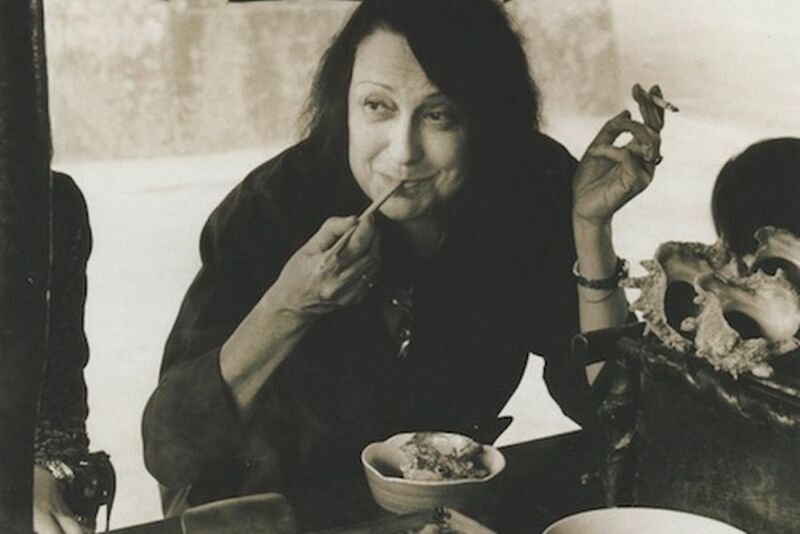 Italian-born Brazilian architect Lina Bo Bardi, (1914 –1992) was a prolific architect known for being a proponent of architecture’s social and cultural potential. Throughout her career, she worked to promote a new collective way of life and felt that architecture should be considered “a possible means to be and to face different situations. Bardi was also an early proponent of sustainable architecture. 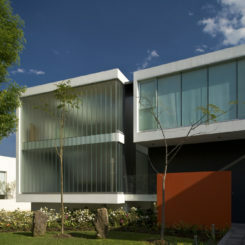 She was also a prolific design and In 1948, founded the Studio de Arte e Arquitetura Palma. 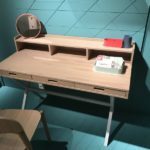 This joint effort with Giancarlo Palanti (1906–77) was focused on designing affordable furniture of plastic or pressed wood. 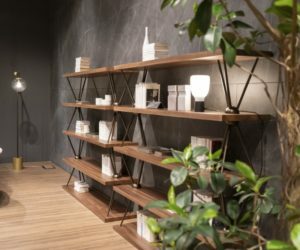 As a founder of one of Japan’s leading architecture firms, Momoyo Kaijima experiments with new design theories that engender new concepts for public spaces and urban studies. Having developed ideas like architectural behaviorology and micro-public-space, Kajima and her team at Atelier Bow Wow coined the term “Pet Architecture” to describe the buildings squeezed into leftover urban spaces. These microspaces are a focus of the firm’s work in Japan as well as across the US and Europe. 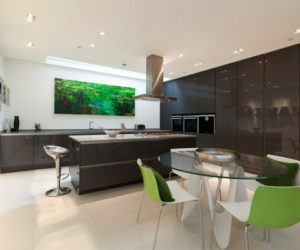 London-based Alison Brooks is best known for designing intelligent, stylish houses but also cultural buildings. Her belief that single-use buildings are obsolete has driven her goal of addressing problems such as the quality of housing and public space. She worked with designer Ron Arad and then started her own firm. Her work has been described as “a late flowering of the most elegant and sensuous modernism. 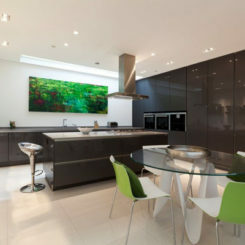 Brooks is the only architect to have won all three of the UK’s most prestigious awards for architecture. 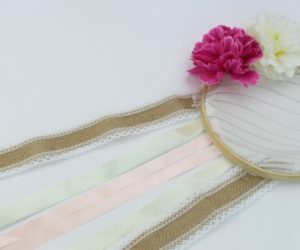 Among her projects, The Smile is so far the most popular as well as awarded. 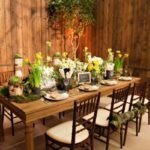 In a commission from the American Hardwood Export Council, she was tasked with creating an interactive installation for London Design Week. 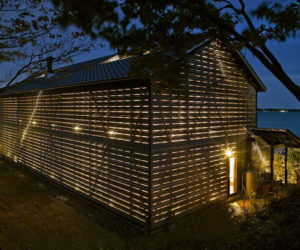 Her design is a 3.5-metre high and 4.5-metre wide rectangular tube that curves upward like a smile. 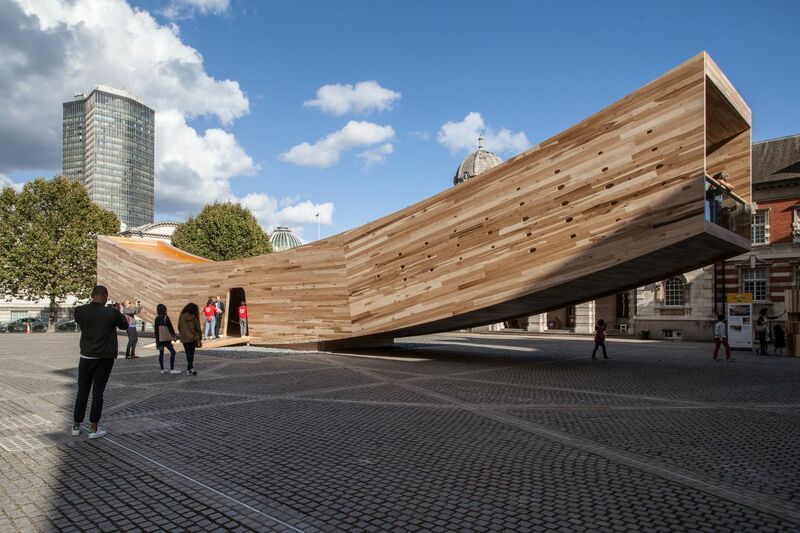 Situated in the middle of the Chelsea College of Art (UAL) Parade ground, it highlights the versatility of wood construction and is a fusion of art and architecture.